This year’s prestigious iF Design Awards saw Daikin Europe’s design skills recognised as the company scooped five awards for their residential heat pump and commercial control solutions at a ceremony in Munich on 9 March. The iF Design Awards are among the largest and most prestigious design competitions in the world. Organised by the world’s oldest independent design organisation, Hannover-based iF International Forum Design GmbH, the awards are now in their 65th year. This year there were over 6,400 entries submitted from 54 countries, with 63 judges scrutinising the products over three days. 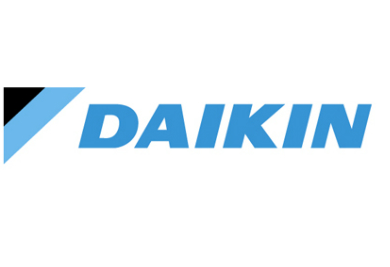 The Daikin products to receive the iF Design Award were the Altherma 3 floor-standing heat pump, Altherma wall-mounted heat pump, D2CND gas condensing boiler, Stylish air conditioner and the company’s commercial wired remote controller. Daikin’s third generation low temperature Daikin Altherma 3 is the first air-to-water heat pump powered by the manufacturer’s patented Bluevolution technology. The unit combines high efficiency compressors with R-32 refrigerant and features frost protection down to -25C. With all the advantages of the Daikin Altherma 3 series, the Altherma wall-mounted heat pump’s slim dimensions mean it can be integrated with a standard domestic hot water tank to save a significant amount of space. The addition of a thermal store system with thermal control panels also provides low cost on-demand hot water. The DC2CND is a compact wall-mounted gas-condensing boiler designed for the smallest of spaces and offers increased flexibility in use, with freeze protection for pipes too. It offers efficiency of up to 108, and a modulating range of 3- to 24-kW with automatic capacity adjustment. The compact wall-mounted Stylish features all-new component designs and R-32 refrigerant, and guarantees the highest efficiency in its design class, scoring up to A+++ for both heating and cooling. Daikin’s latest wired remote control has been designed to provide an enhanced user experience with an elegant and contemporary appearance. Its intuitive touch button controls make it easy to adjust settings to suit your personal comfort.